Numbered from the edition of 300 in pencil on the lower left. Published by Maeght, Paris. 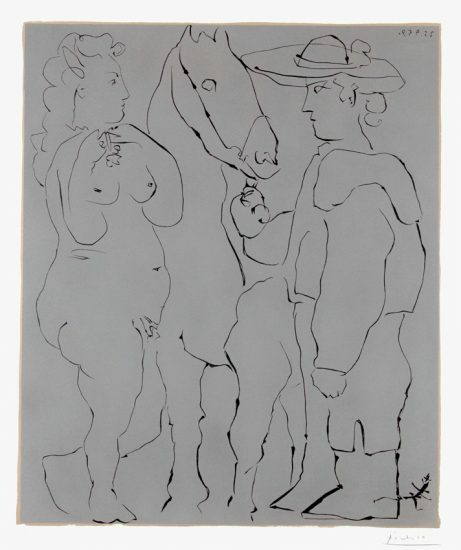 This work is hand signed by Joan Miro (Barcelona, 1893 – Palma, 1983) in pencil in the lower right and also signed in the stone in the lower right of the work. 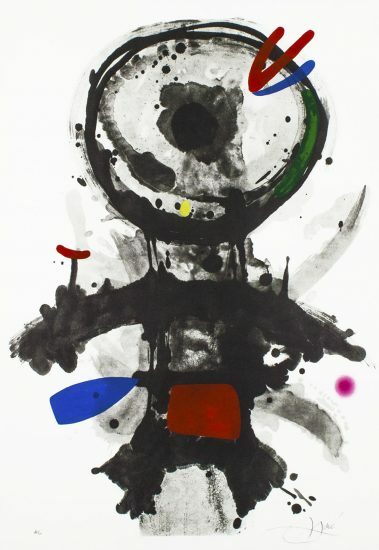 Joan Miró Une Femme (A Woman), 1958 studies the shape of a woman’s body through dream-like representation of fantastically strange anatomical parts. Unconcerned with symmetry, the body dominates the rectangular pictorial space, showing off all angles of its fascinating proportions. The beautiful arabesque lines lead the viewer’s eye around the woman’s small curved face and flowing hair, to her waving arms, to her monumental legs. The rich earthy color of her body glows against the cool green background. The window above her echoes the parallel lines of the floor at her feet, and the vivid blue sliver in the window repeats in the diagonal blue forms dissecting the woman’s body. 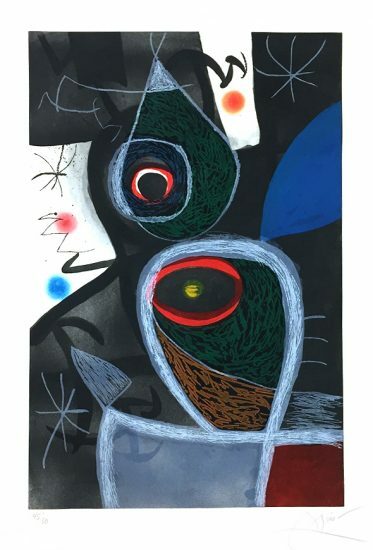 The abstract shapes and lines of the woman and the space around her come together beautifully to create Miró’s surreal realm. 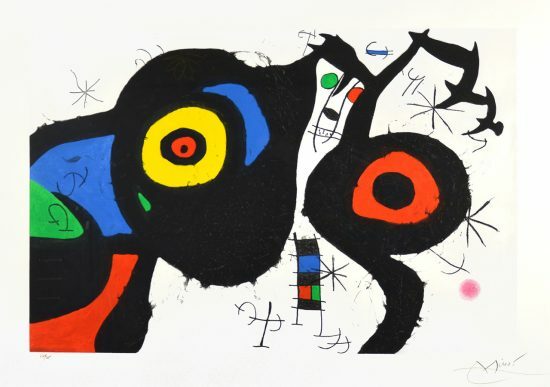 Created in 1958, this color lithograph is hand signed by Joan Miro (Barcelona, 1893 - Palma, 1983) in the lower right and numbered from an edition of 300 in the lower left. This color lithograph was created after the original oil on wood of the same title from 1932. A Certificate of Authenticity will accompany this artwork. 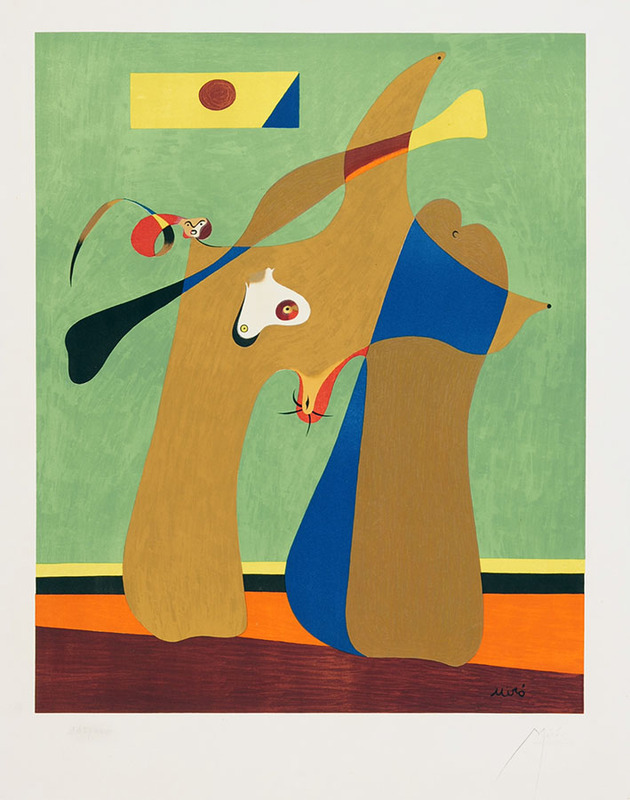 Framed to museum-grade, conservation standards, Joan Miró A Woman (Une Femme), 1958 is presented in a complementary moulding and finished with silk-wrapped mats and optical grade Plexiglas. 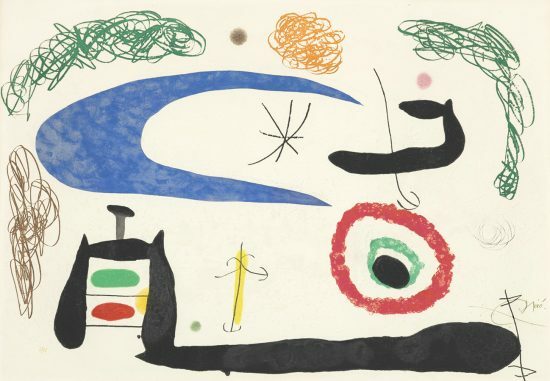 Joan Miró's whimsy and childlike sensibility are unmatched. 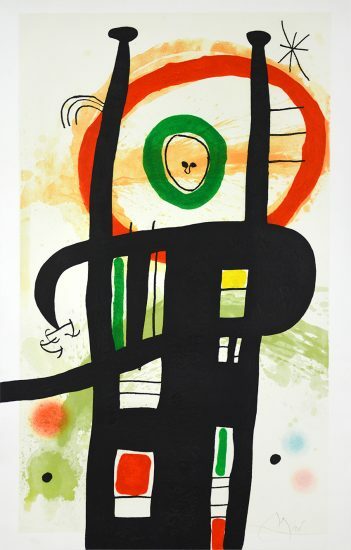 A signed original Miró print, such as our collection of aquatints, lithographs and etchings, can carry an entire room. His large-scale graphic works are an excellent investment. 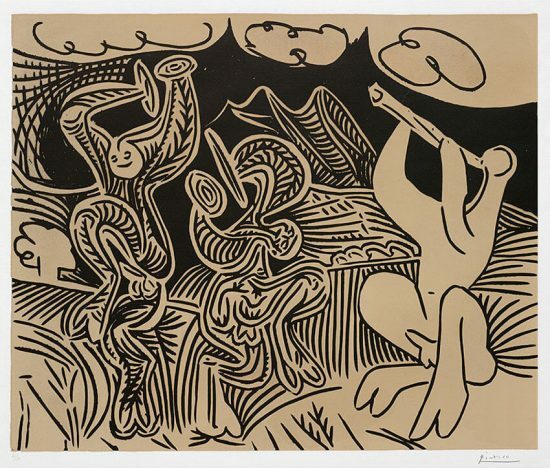 Sell your Joan Miró fine art with us. We offer free evaluations.